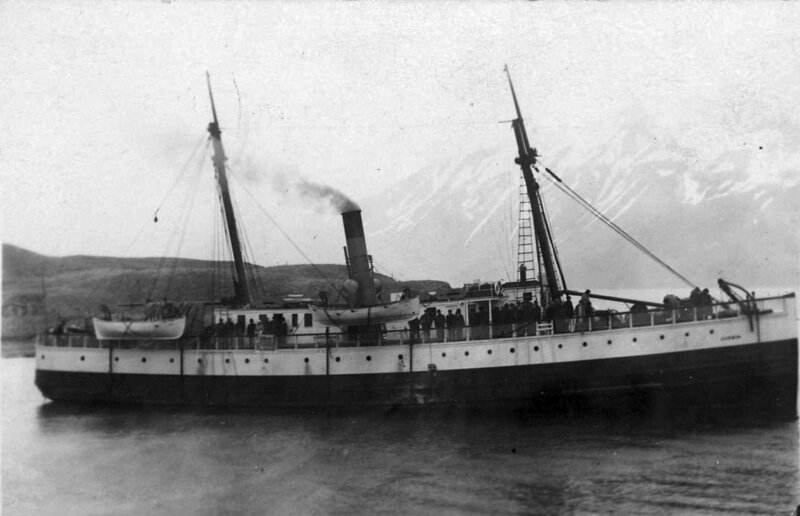 Acquired by the Schubach and Hamilton Steamship Co.
Sold in 1916 to Mexican owners and burned in drydock at Salina Cruz, Mexico that same year. 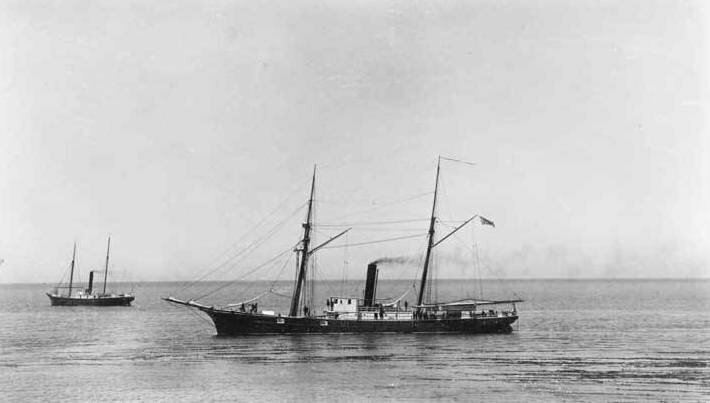 Propulsion: One inverted cylinder steam engine, one shaft and sail. 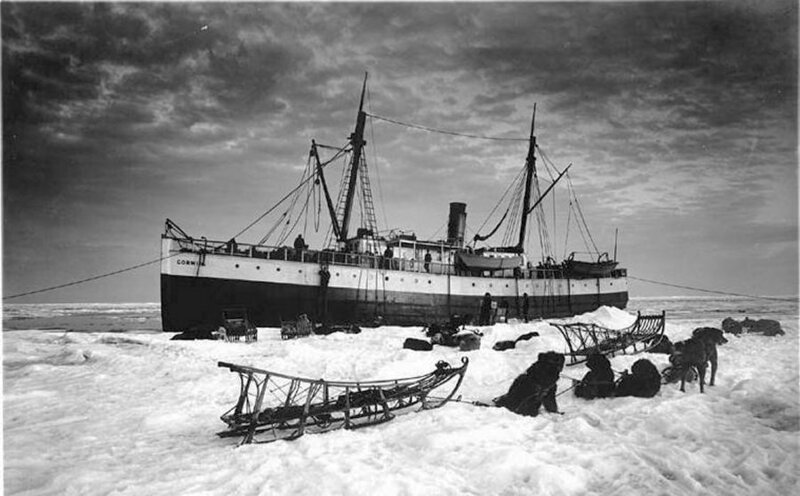 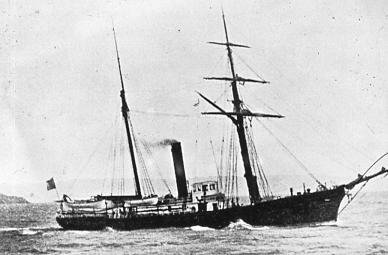 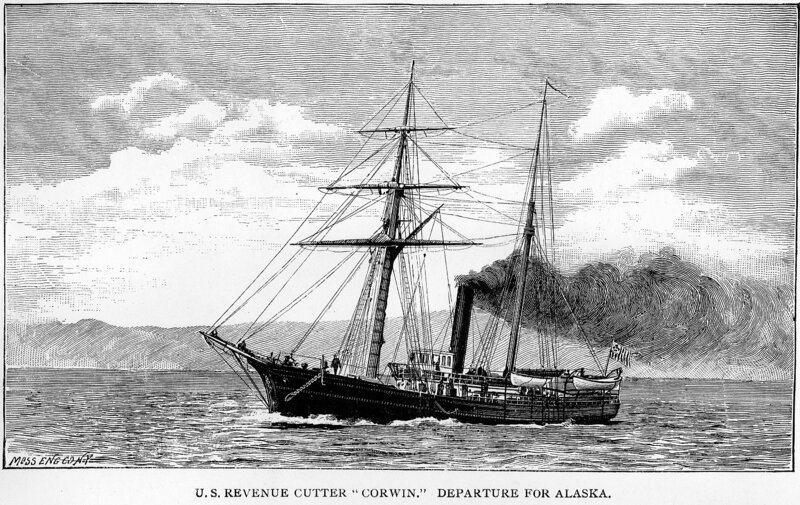 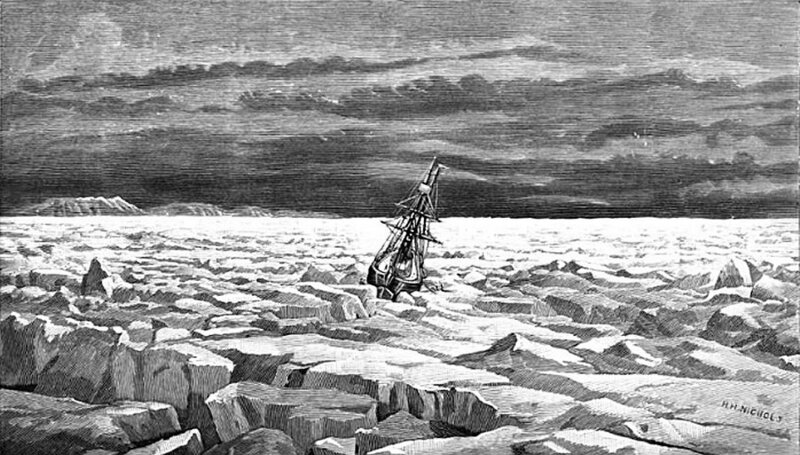 Photo from Report of the Cruise of the Revenue Marine Steamer Corwin in the Arctic Ocean in the Year 1885, by Captain M. A. Healy, U.S.R.M. 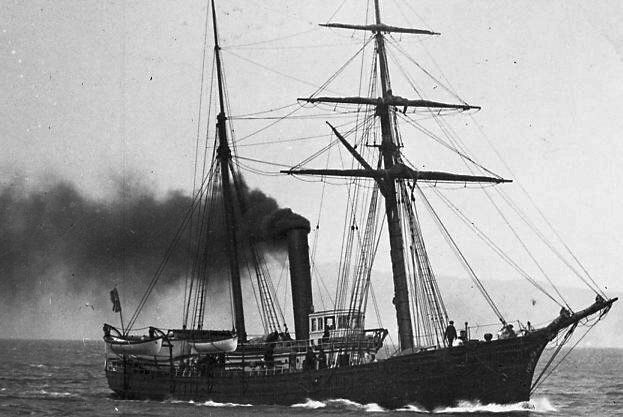 97k Corwin, while serving with the Corwin Trading Co.